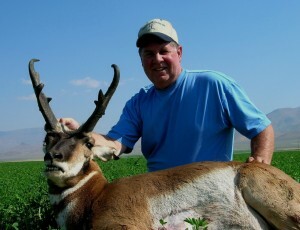 We offer outstanding opportunities for trophy-sized antelope here in Nevada. Our hunts are conducted on both private and public land. We stay in nice motels with meals and transportation provided. 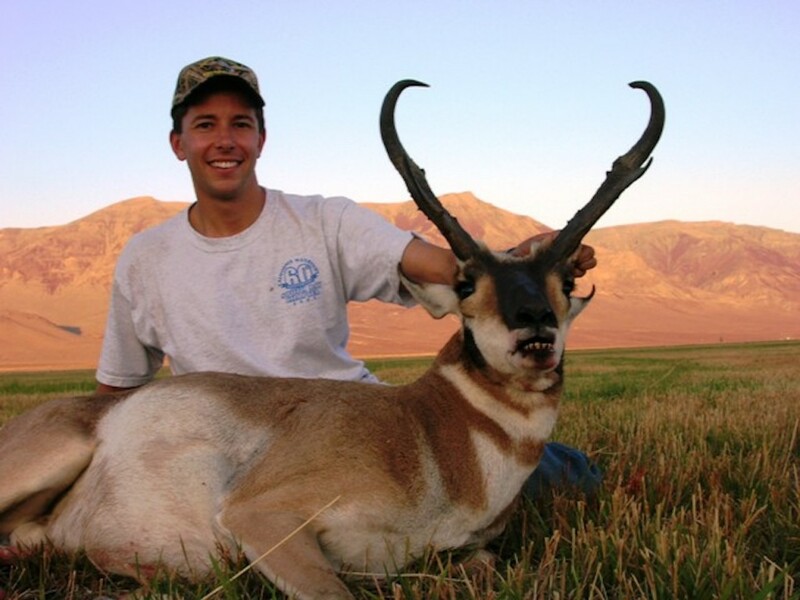 These hunts are fairly easy, while giving the client numerous opportunities to view large numbers of antelope. These hunts are conducted anywhere from high mountain deserts to fertile alfalfa fields in the valleys. Group hunts of up to 3 hunters per guide are available, as well as one on one hunts. As with all game in Nevada, bonus points can be accumulated if unsuccessful in the draw, or landowner vouchers are available for an additional fee. This hunt typically produces bucks in the 13-16” range with B&C scores in the 70-80 range.